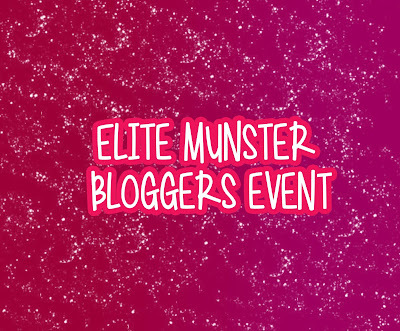 Home bbloggers beauty bloggers blogger network bloggers elite munster bloggers event event inglot limerick news other reviews strand hotel Elite Munster Bloggers Event! Blogger Events are often held by blogger networks to let bloggers meet in person and get to know each other better as well as meet some brands face to face. And when I saw that the two girls Steph from s2ubeauty blog and Erin from Chasing Ruby Chat were organising an event I knew I had to go! The event was held on August 16th in the beautiful Strand Hotel in Limerick. The hotel was a great location for the event because Limerick seemed to be accessible for most of us and the hotel itself was gorgeous. They set aside a section of the hotel overlooking the Shannon for us which was full of tables for us to sit at, a stage for us to watch our masterclass and talks and there was couches for us to sit down and chat. We all received name tags and when we got into the event room there was a goodie bag at each place setting with our names on it which I think was a real personal and cute addition to the day. Our goodie bags were jam packed with testers from Elizabeth Arden and Forever Living, SoSu and Sally Hansen nail polishes, Inglot brow powder, Miss Fit Skinny Tea and so much more, we were spoilt rotten! 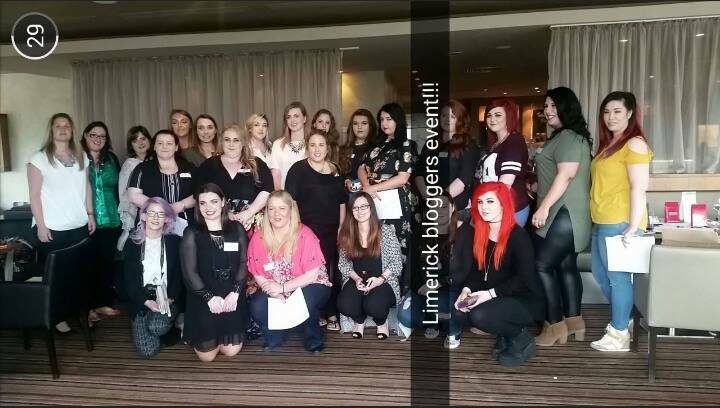 First up we had a makeup masterclass from two lovely girls from Inglot Limerick, Amy and Dubheasa. To begin, Dubheasa did a day time glam look on Amy which was stunning. She was great at talking us through all the steps and was really good at answering any questions we had. After lunch Amy did a makeup look on Dubheasa which was a darker eye makeup and more detailed but I loved watching it and picking up some tips from the two girls. The girls had organised for us all to go relax over on the couches in two groups and to get to know each other a bit better by asking the person to the right and the left of us a question which I thought it was a great idea because we all got to know each other and we had some great discussions and some great laughs! Lunch was served at 2:30 which also gave us a chance to sit down and chat to one another, and of course have some cocktails.. it's never too early, right? The Strand Hotel had designed a cocktail just for our Blogger Event so of course I couldn't resist and just had to get one and it was yummy. 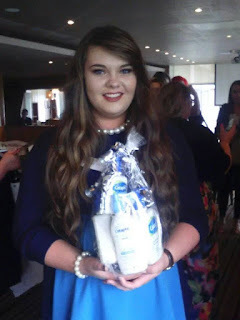 I was also lucky enough to win a huge hamper full of Cetaphil products in the raffle that was for Claires Wish Foundation which I was delighted about. Steph was also painting nails on the day using the SoSu nail polishes, unfortunately I already had nail varnish on mine but I've been trying out my SoSu polish since. This was my first blogger event and I was so nervous but I felt so comfortable around such lovely girls for the day. 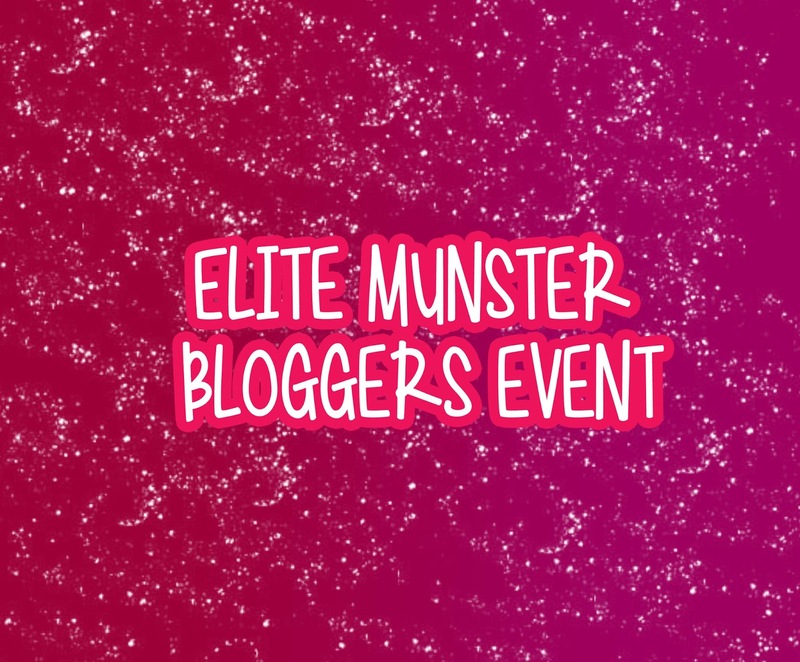 I'm absolutely delighted that I went, I really enjoyed the day (even if Galway did beat Tipperary in the hurling that day) and I can't wait for the next Elite Munster Bloggers Event. Thanks again to Steph and Erin for an amazing day and a great event, great job girls.